Chedid Capital Holding the multi-awarded insurance and reinsurance regional group, in collaboration with prominent investors in Dubai, announced the acquisition of 75 % of Al Manara Insurance Services Co Ltd Sharjah, an insurance brokerage firm operating in the United Arab Emirates. This move is part of the company’s expansion and consolidation plan in countries of the EMEA region by 2017. “Along with the growth of our businesses in Africa, we are proud to continue our expansion in the GCC through the acquisition of Al Manara Insurance Services Co Ltd. This company has solid roots in the UAE market and a great reputation earned over 25 years under the leadership of Issam Lahham”, said Farid Chedid Chairman & CEO of Chedid Capital Holding who added: “This acquisition represents one more significant step on the path of expansion and success of Chedid Capital Holding that makes markets, sectors and a larger base of customers benefit from the exceptional services and expertise our companies provide across all our areas of operation”. With more than 25 years of extensive experience in the UAE market, Al Manara Insurance Services Co Ltd has built credibility through constant efficiency and high performance driven by a team of skilled experts, delivering tailor made professional services to the various categories of the insurance markets. In 2006, Chedid Capital SAL (Holding) was established to cater for the exceedingly growing size and diversity of the business. Chedid Capital Holding manages separate strategic business units such as reinsurance broking, direct Insurance broking, and insurance risk bearing and consultancy services. The success of Chedid Capital is attributed to three main pillars: our people, our vision and our ability to execute and deliver our promises. Today Chedid Capital Holding is established in Europe, Middle East and Africa with offices and operations in Cyprus, the Kingdom of Saudi Arabia, Lebanon, Mauritius, Morocco, Qatar, Turkey, the United Arab Emirates, the United Kingdom, offering services and solutions to clients in more than 45 countries. In1990, when Al Manara Insurance Services was established, the objective was to set up a National Insurance Brokerage Firm providing direct insurance services in the local market aligned to international standards, and equipped with a highly skilled team that delivers a personalized professional service to both individual clients and insurance companies. 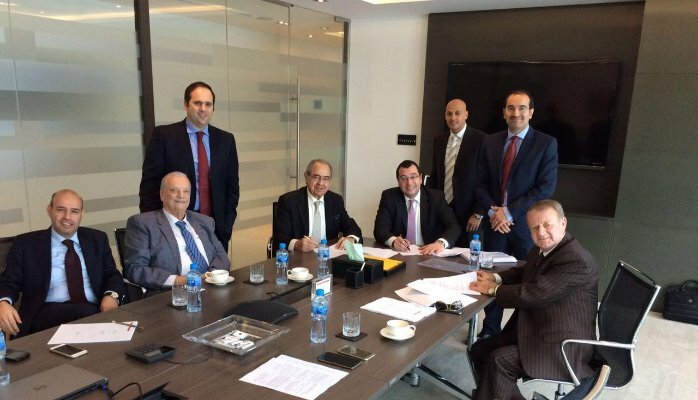 Al Manara is honored to announce signing a Partnership Agreement with Chedid Group. Through partnering with such a prominent and international multi-insurance business firm in the region, Al Manara will now have the opportunity to expand its stand and platform of services through getting a stronger and wider support. The new venture is committed to all the existing valued clients, and insurance companies who worked with Al Manara all these years, and will continue - providing them with quality, reliable and trusted insurance services.